Lately, I often argue or discuss with other people whether something ever changes in Bulgaria. Bulgarians tend to pay much more attention to negative events and usually forget nice thing happen too. I have a lot of friends who claim social conditions never changed for the last 20 years. They argue there is no sense to do anything besides what you boss needs you to do to pay you at the end of the month, because whatever you do, it won’t have any impact and you will only waste your efforts for a lost cause. I disagree. I believe every effort makes sense and that if you don’t like something you should start trying to change it. It is difficult, especially if all your friends tell you it’s not worth it, but we have to keep trying. And changes are slow, sometimes you don’t even realise you have achieved something before several years pass. It can be very discouraging – we don’t even notice good changes in Bulgaria – we tend to forget about them and that discourage all the people who actively work on improving the urban environment, on changing meaningless laws, on helping others. I do think this is a huge problem – we have to stop seeing the world negatively and learn to see the positive thing around us if we want to change the way we live. We need to pay more attention to what’s working, to try fixing problems instead of just discussing how difficult it would be to find a solution, and to support the efforts of people who are already trying to do something. This, in my opinion, is the way to change our lives toward better in all areas of live. And this is why I decided to draw your attention to something that started several years ago and is known to most citizens of Sofia. I’m talking about that association with the name that promises transformation – Transformatori. 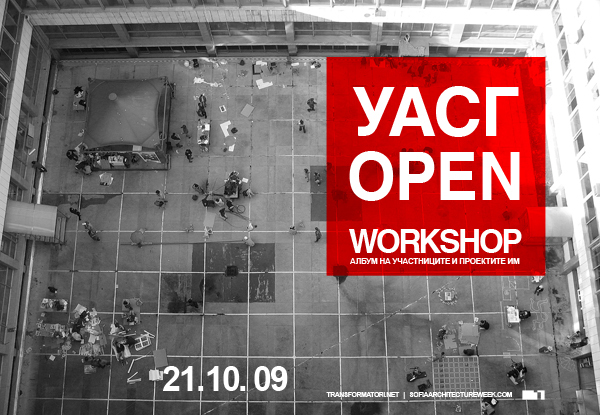 It appeared somewhere in 2009 – founded by half a dozen enthusiastic architects who have just finished the architectural school in Sofia. They didn’t stop in spite of all the obstacles that we know occur in realising every project.They even work well with institutions that most people I talk to see as the main obstacle for something to happen at all in Bulgaria. Not that working with any Bulgarian institutions is easy, but if you do not try, how will you manage to achieve whatever you want to achieve? 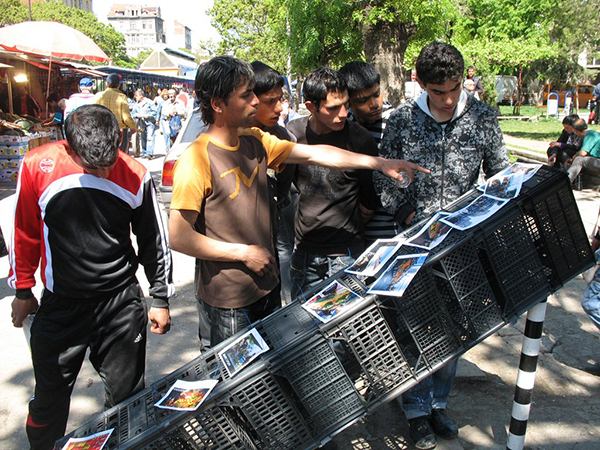 Most of their projects are quite popular in Sofia, but few people have thought about their impact. I do, lately. 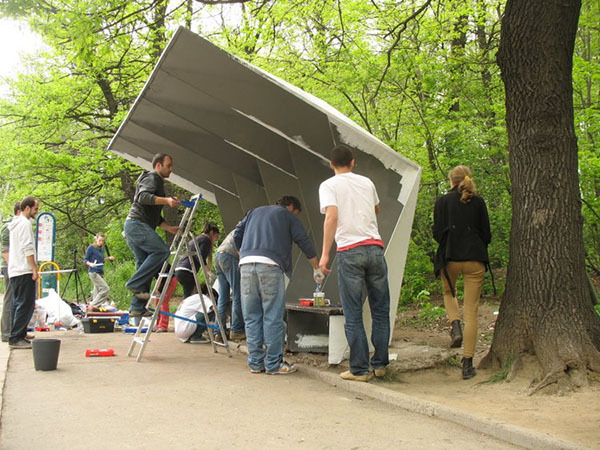 Their first action, I heard about, was “Architects at a street stand“. It seemed almost meaningless at the time in the eyes of many people (in mine too). But did you notice how much has been published about the specifics of the Women’s market (Zhenski pazar) since this action? Eventually they choose to realize a project that did not take into account almost none of the studies which have been done – a one sided project that does not preserve the character of the market and is not social responsible at all. But it was one of the first actions that tried to show ordinary people that they actually have the right and should be interested in what happens to their urban environment, because any interference in it actually concerns them a lot. A little more than two years ago citizens of Sofia tried to show their concern with what is happening with protests against the Oresharski’s government. I don’t mean the protests are caused by a single action few years before them, or that they solved our problems. I mean these actions a all part of a series of events, each of them generating or facilitating the next, all of the changing little by little our society. Where all this will lead us is entirely up to us, of course. Citizents of Sofia probably remember that green space in front of the French Institute when it was still situated on Deacon Ignatius Str. 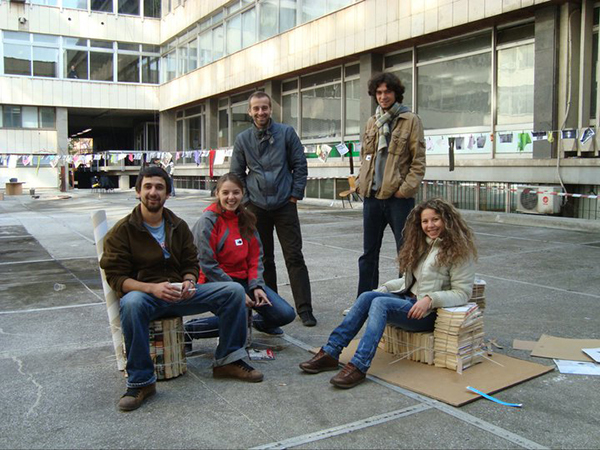 The initiative was called “Park green” and was inspired by Park(ing)day. 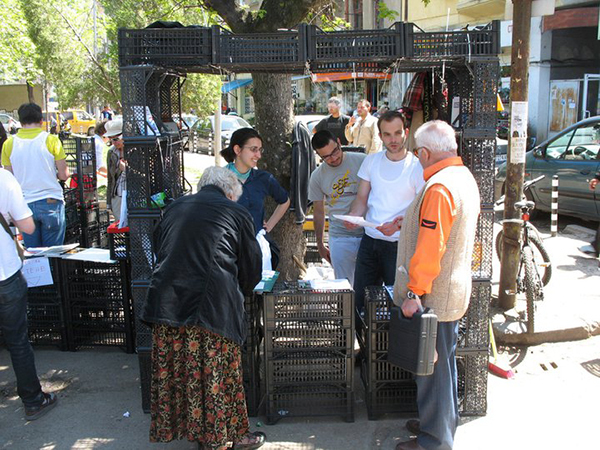 Since the first event many others took the idea and now I can say that only two days ago there was a new Park(ing)day in Sofia, which had 26 different sites. 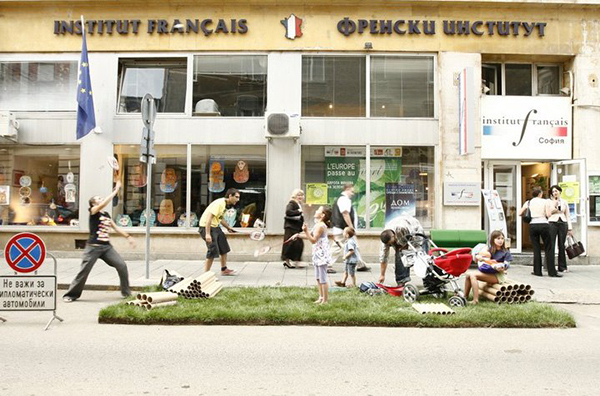 On Friday, you could spot grass on unusual places, monsters of Sofia bicycling the streets, children playing foosball, passers-by learning the steps of Daychovo horo (a traditional round dance) and in front of an architectural institution – a garden of poppies! I don’t remember ever before teenagers saying that Sofia is cool! Few people even remember how strange it sounded the idea of ​​a pedestrian street (albeit only or a day) in the city centre at the time when Vitosha Boulevard still had a two-way traffic and now the once main traffic artery in the centre is a pedestrian street, and there is this festival called Sofia Breathes that every summer turns the Ivan Shishman street into a pedestrian area for a day. 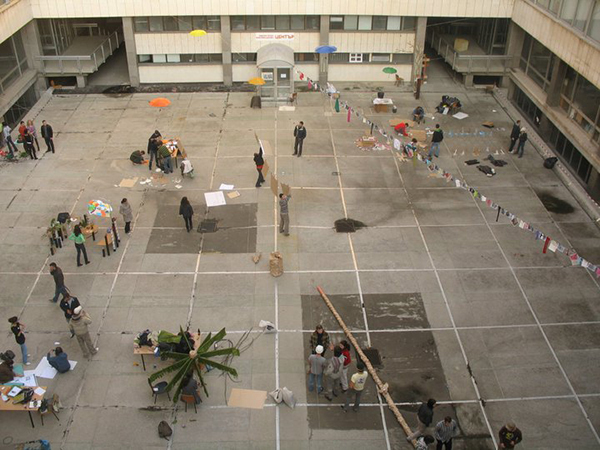 There are two other projects from the first activities of Transformatori that I find important – the fact that they managed to busy the inner courtyard of the University of Architecture with the UASEG Open – for all the years I spent at this university I have never seen more than two people at the same time at the courtyard even after the library was moved to the far end of the yard. Transformatori managed to fill it with students who will soon graduate and begin to affect the urban environment in the cities they live in. 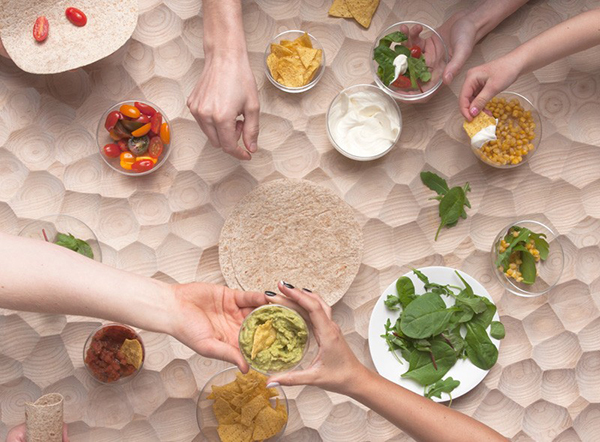 This is the beginning – to show the architecture students that architecture is more than just empty hotels on the sea. 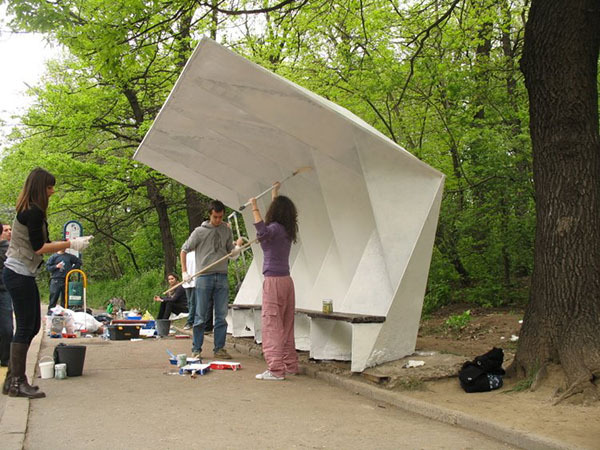 Last but not least, the renovation of Shinkov’s bus stop was also an important one – it mirrors the arising interest in the good things we inherited from communism, after the denial of the 90s when everything was left for oblivion and destruction no matter how valuable or not it was. This station became part of a series of activities that tried to find and preserve the good thing from the time – mostly design and architecture. 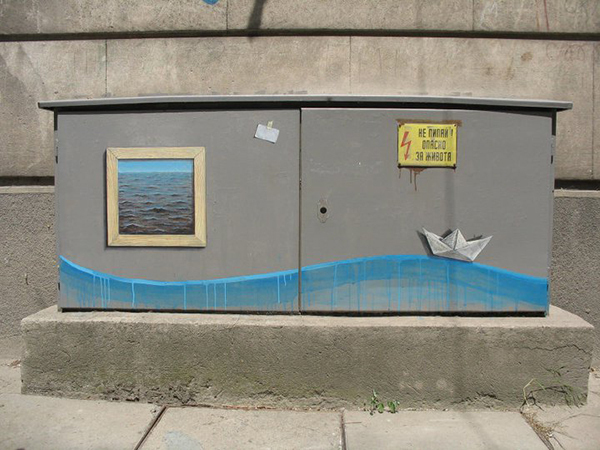 They also had their share of not so successful actions, but there were also ideas that developed on their own and are now a part of our urban culture (audit boards are a common place for art in Sofia now). And Transformatori continue to evolve, they now have their own place and continue to work with the same enthusiasm as when they started. I believe they started something that grows and changes the way we relate to our city and affects the whole community. However, “a bird alone does not make spring” and there are others after them, working with them, or just trying to do something on their own. Each of us can impact the way we live and our environment because even a tiny effort matters, or as we say: a drop by drop – makes an ocean! 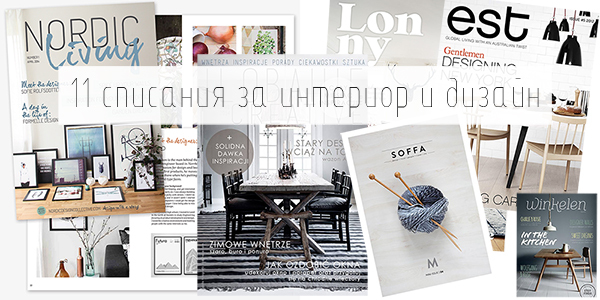 Transformatori show us how to start with a tiny drop and achieve something bigger. All photos from Transformatori’s website.